Defected presents an EP of upfront house heat, in conjunction with Relentless Energy drink. 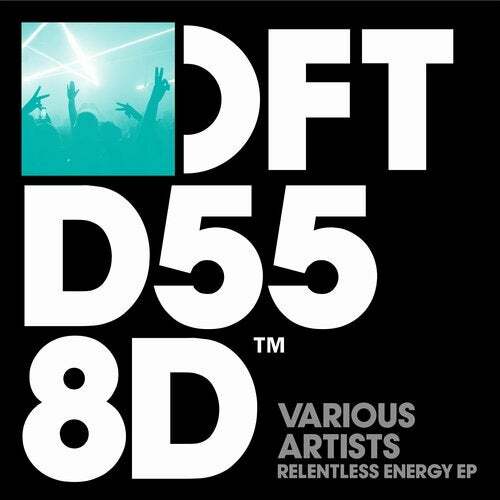 From a selection of ten exclusive tracks that you can still find featured as downloads on a run of special Defected x Relentless promotional cans, these three new productions and remixes from DJ S.K.T, Amine Edge & DANCE and Franky Rizardo now receive the attention they deserve with a full release. Ranging from Chicago funk on DJ S.K.T's 'Get Up', which features the voice of Mike Dunn, through the industrial beat of Sandy Rivera & Haze 'Freak' remixed by Amine Edge & DANCE, to the soulfulness of Franky Rizardo's remix of 'The Light' by Guti & Mark Fanciulli featuring Inaya Day, this EP showcases some choice cuts from three of house music's current hottest artists. 'The Light' incorporates a sample of 'Hold Your Head Up High' under license from Peppermint Jam/Merg Music. Used with permission. Written by Mustafa Guendogdu, Erroll Rennalls & Inaya Davis. Published by Merg Music Edition/BMG Rights Management GmbH admin by BMG Rights Management (UK) Ltd; a BMG Chrysalis Company & NY O Dae Music. Used by permission. All rights reserved.